This month, ACTEX will begin offering a series of interviews with actuaries from around the world. For our first interview, we have the pleasure of interviewing Slagjana Mailjkovikj, Ph.D., who works as an actuary in the Insurance Supervision Agency of the Republic of Macedonia (Wikipedia link) since 2010. 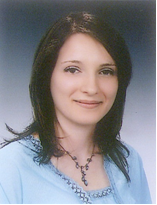 After earning a bachelor's degree in Applied Mathematics - Mathematical Programming in 2007, she continued her education on the field of Applied Mathematics and 5 years later she earned her Ph.D. in Numerical Optimization and Generalized Inverses from the Faculty of natural science and mathematics at the University of Nish. In 2013, she finished her formal actuarial education in Macedonia after which she became a licensed actuary and a regular member of the Macedonian Actuarial Association. ACTEX Learning (AL): How many practicing actuaries do you have in Macedonia? SM: In 2004, the Macedonian Actuarial Association (MAA) was formed In 2006, MAA became an associate member of IAA. In 2013, the third generation of actuaries finished their education, so for the first time there was a minimum sufficient number of actuaries on our market. SM: To promote the role of the actuarial profession and to increase its reputation and recognition on a national level; To establish cooperation with other actuarial associations; To facilitate the continuing actuarial education for the members of MAA; To become a full member of AAE and IAA. SM: Certainly it is the new EU Solvency 2 regime. Although Macedonia is not an EU country and it is not obliged to implement SII, most of the companies are daughter companies of greater corporations placed in EU. So this regime is imposed by their mother companies, and as it is more principles-based as opposed to the current rules-based system, the work that the actuaries are going to perform will significantly increase and will move into non-traditional actuarial work. SM: The recognition of the actuarial profession hopefully would imply an increased demand for actuaries in the insurance industry. Nowadays, most of the insurance companies have engaged only one actuary. Also, other industry branches will find the benefits of using actuarial skills. SM: Currently, there are no complete school programs for actuaries. It is the Insurance Supervision Agency who organizes actuarial education according to the demand and the program is in compliance with the requirements of the educational program prescribed by the IAA. Usually, due to lack of appropriate professionals who can teach students, the Insurance Supervision Agency mostly hires professors from other countries to fulfill the need. SM: A person with a bachelor's degree in mathematics, economics, etc. must first finish the actuarial education mentioned in the previous point, which lasts for 2 years and has 15 exams, and after that the person should have a minimum of 1 year of experience in order to become a fully qualified actuary. However, in order to become a member of MAA, an actuary must have a minimum of 3 years of previous actuarial experience. SM: The employers, except the Insurance Supervision Agency, are not usually involved in exam preparation. However, they usually pay the fee for the education for their employees who are willing to become actuaries. SL: The recognition of the actuarial profession in Macedonia, is not at a satisfactory level.